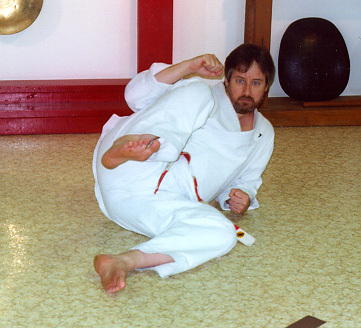 The following photos are taken from old article of Mr. Heilman's, "The A,B,C's of Ground Fighting" which is presented as the Feature Article of the Quarter - 1st Quarter, 1999. 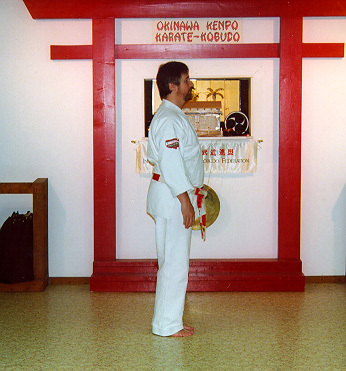 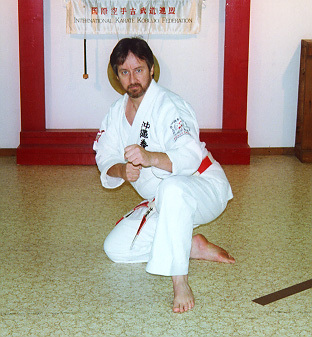 The article was published in both the States and in Italy, and dates back from Mr. Heilman's "kyoshi" days. 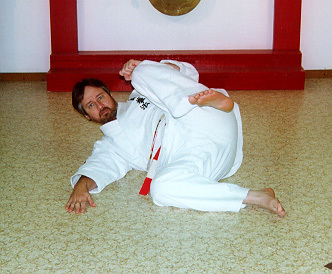 The first series of photos cover the basics of front, back, side and roll fall. 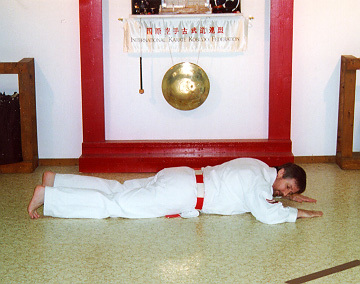 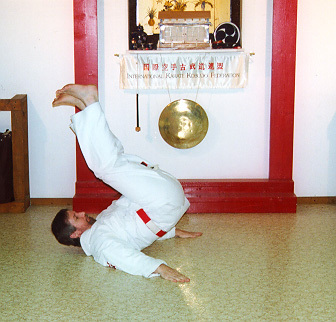 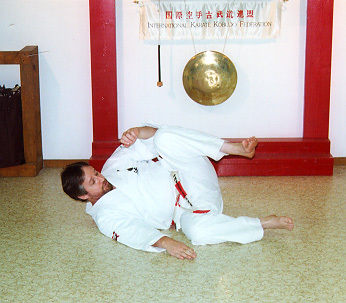 The next series of photos demonstrate on-ground turning techniques (from side to side) and the three "on-guard" positions. 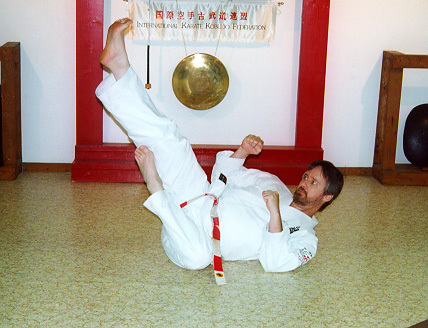 This next set, focuses on kicking techniques that are executed from the ground. 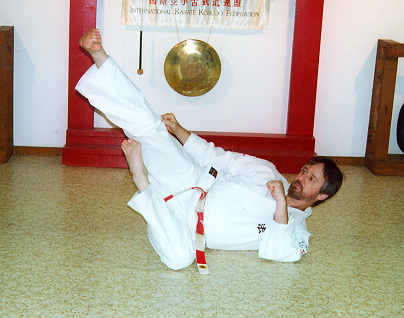 They include: side kick, front kick, roundhouse kick (either with ball of foot or instep), and double leg kick. 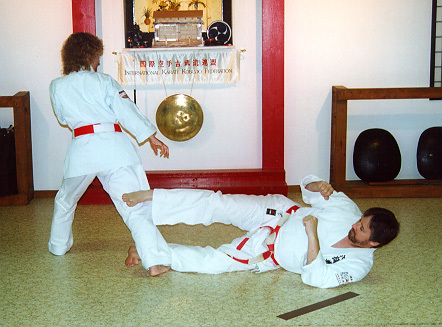 In this series of photos, Mr. Heilman takes you through some offensive leg attacking techniques. 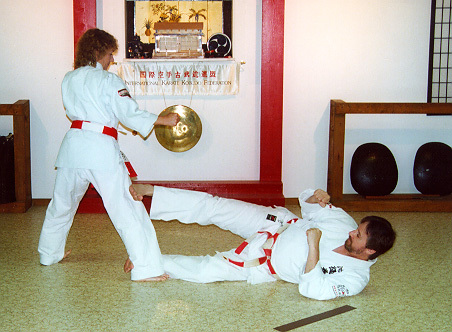 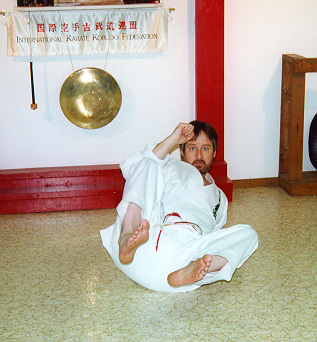 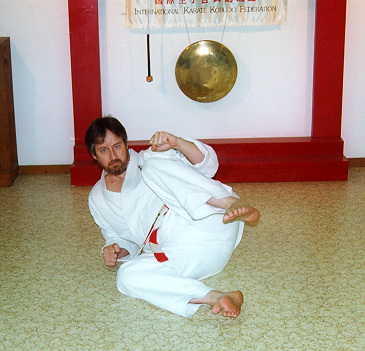 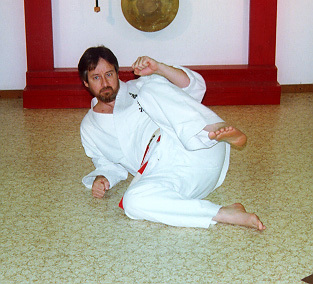 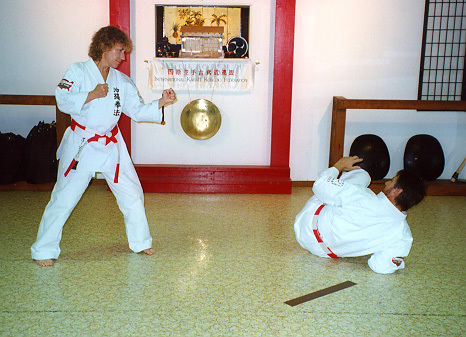 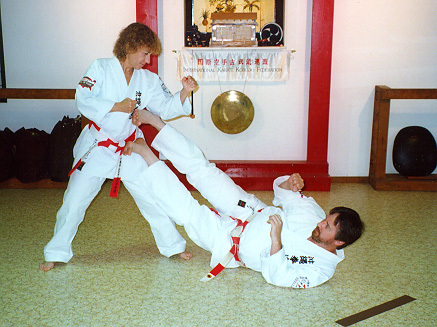 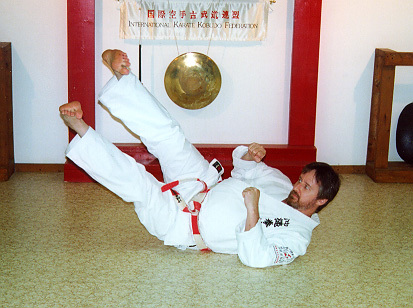 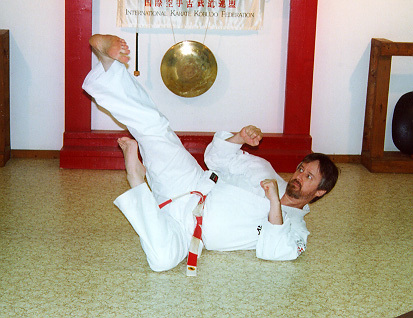 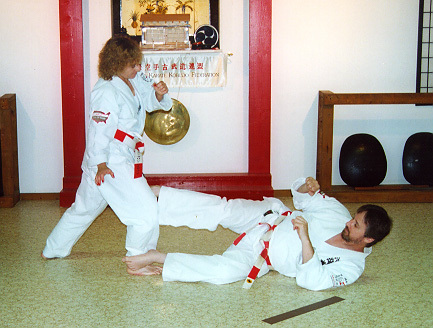 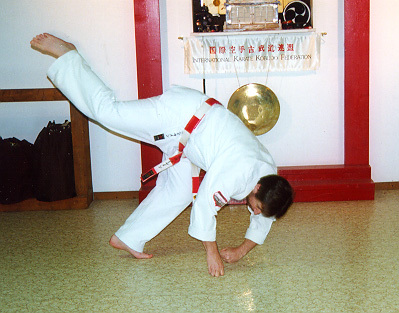 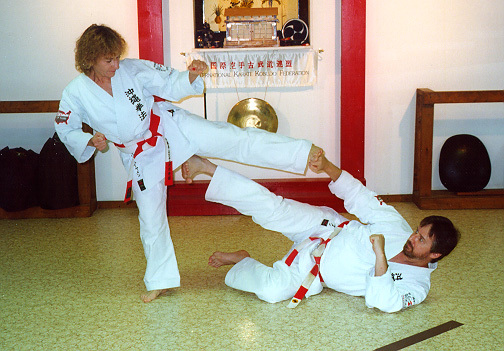 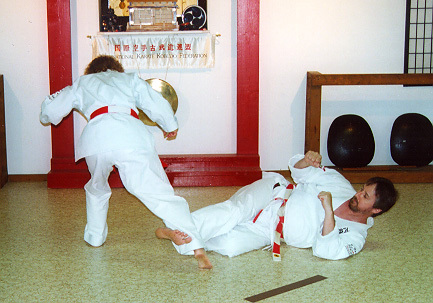 In this series of photos, Mr. Heilman demonstrates some applications of counters against a punch, kick and the use of a draw to set up a double leg kick.